We pleased to return to the Hopkins VFW for our annual Book and Media Sale. We're actively collecting books, CDs, DVDs and video games to have another great sale. Funds raised at this sale help offset entry fees and expenses for our skaters who qualify to compete at the National Championships. For 2019, the Championships will be held in Spokane, Washington. Since such travel is not cheap, your support of our fundraising book sale is greatly appreciated - whether you donate, buy, or both! Easy to get find: Shady Oak Road is just east of 494 and south of Highway 7. Building is on the right as you're headed south from Highway 7, across from Tuttle's bowling center. Entrance in the front of the building. Thursday, May 16, 2018 - Preview Night - 6-9 p.m. In lieu of an entry fee, a donation is requested and appreciated. Friday, May 17 - General Sale - 9 a.m. - 5 p.m.
Saturday, May 18 - General Sale - 9 a.m. - 2:50 p.m.; Bag Sale - 3 - 5 p.m. Bags will be provided. We will clear the room for 10 minutes after the general sale to prepare for the bag sale. Books will be sorted by subject for easy shopping. Thursday night: Hardcovers $2, Paperbacks, $1, CDs $2, DVDs $3, LPs $2, Audiobooks $4. Box set DVDs priced individually. Friday and Saturday: Hardcover $1, Paperbacks, $.50, CDs $1, DVDs $1.50, LPs $1, Audiobooks $2. Box set DVDs priced individually. Saturday afternoon: Bag sale - Fill a grocery bag for $5/bag. See our Sale FAQ (Frequently Asked Questions) page for more information. _Do you have items to donate to our sale? 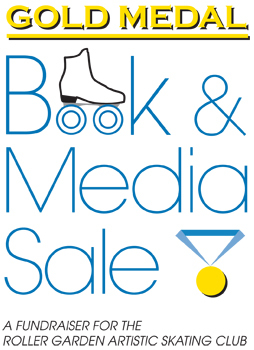 If you wish to contribute book or media items to this year's sale, check the donation opportunities under "How to donate." If those times/locations don't work for you, please contact Rhonda Studer, Sale Chair, to make arrangements. If you have a large quantity of items, we can arrange to pick them up in the Minneapolis/St. Paul metro area. See the Donations page for more information on what and how to donate. Do you have a location that could host a donation box? We appreciate every donation we get, and the best way for us to get items for our sale is to have donation boxes in the community. If you have a fairly high-traffic area that could host a donation box, please click on the link above to arrange a placement of a box. We will regularly empty it as needed during our donation drive. 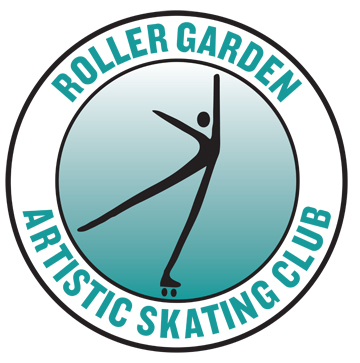 Hours: any public skating session. See schedule ﻿here﻿. Saturday, April 27 - 10 a.m. to 1 p.m.
We are only able to accept books for Adult readers and recorded media at this event. If you have children's books to donate, please contact us directly. We will accept donations on Wednesday, May 15 at the site of the sale prior to opening the first day (VFW Hopkins, see address info above) between 11 a.m. and 6:00 p.m. If you have a large quantity of items to donate (100 items or more), volunteers from our club will come to your location to pick your items up. Contact Rhonda Studer at 952-470-7395 to arrange a pick up, or send her an e-mail.